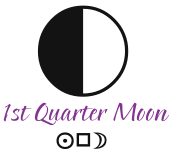 The FIRST QUARTER MOON occurs on Tuesday, February 12, 2019, at 5:26 PM EST. On Tuesday afternoon, the First Quarter Moon occurs, when the Sun in Aquarius forms a square with the Moon in Taurus. 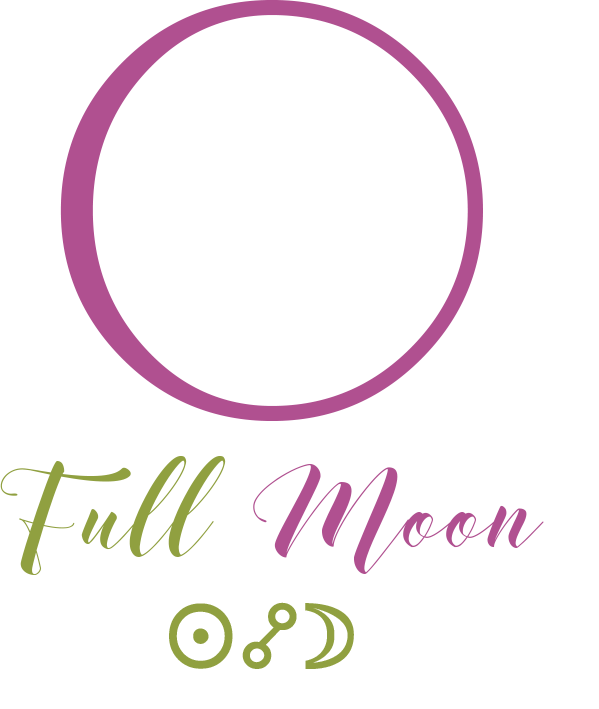 There is a crisis theme surrounding any quarter Moon phase, as we feel compelled to take action. Shortly after, we are made aware of how our actions affect those close to us, perhaps through trial and error. Whatever project or initiative we began around the New Moon is now off the ground, and it may face its first obstacles. 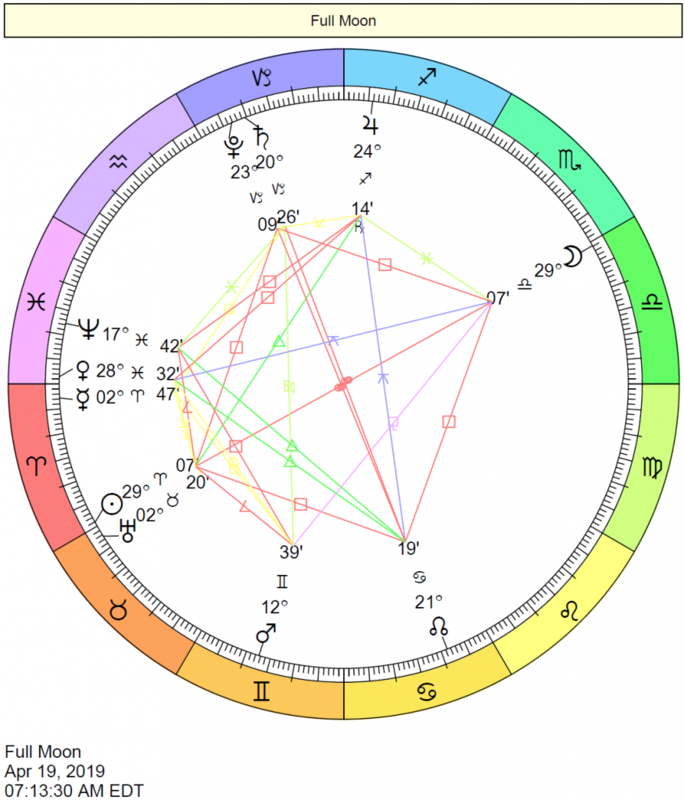 This phase of the Moon occurs at 23 degrees and 55 minutes of Taurus square the Sun at 23 degrees and 55 minutes of Aquarius, affecting people born with personal planets and points at approximately 22 to 26 degrees of the Fixed signs (Taurus, Leo, Scorpio, and Aquarius) most significantly. The NEW MOON occurred on Monday, February 4, 2019, at 4:04 PM EST. 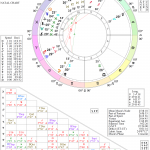 This phase of the Moon occurred at 15 degrees and 45 minutes of Aquarius conjunct the Sun at 15 degrees and 45 minutes of Aquarius, affecting people born with personal planets and points at approximately 12 to 20 degrees of the Fixed signs most significantly (Taurus, Leo, Scorpio, and Aquarius). 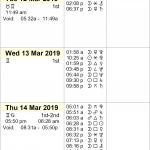 This week: The Sun is in Aquarius; Mercury is in Aquarius until February 10th, when Mercury enters Pisces; Venus is in Capricorn; Mars is in Aries until February 14th, after which Mars is in Taurus. This week: Venus doesn’t form any major aspects to major planets this week. 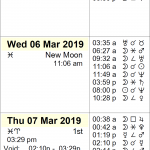 Void-of-course Moon on Sunday, February 10th, from 6:48 PM EST, with the Moon’s last aspect before changing signs (a conjunction to Uranus), until the Moon enters Taurus at 8:29 PM EST. 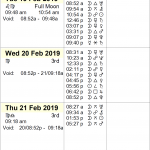 VOC Moon on Tuesday, February 12th, from 5:27 PM EST, with the Moon’s last aspect before changing signs (a square to the Sun), until the Moon enters Gemini the next day, Wednesday, February 13th, at 4:33 AM EST. 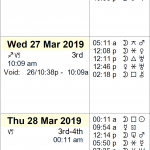 VOC Moon on Friday, February 15th, from 7:49 AM EST, with the Moon’s last aspect before changing signs (a sextile to Uranus), until the Moon enters Cancer at 9:04 AM EST. 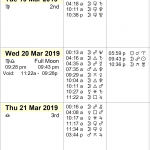 According to principles of timing with the Moon, a window of opportunity occurs this week from Thursday, February 14th, at approximately 5:00 PM EST, until Friday, February 15th, at approximately 7:45 AM EST, while the Moon is in Gemini. No planets are retrograde again this week, which helps things flow along relatively smoothly. Mercury semi-square Saturn. Red tape, re-doing tasks we thought we had finished, problems getting from point A to point B, delays in communication, negative thinking, hypersensitivity and criticism–these are all potentials now. The energy is best used for focusing on fixing errors rather than harping on how irritating they are! Mars conjunct Uranus. A tendency to take risks, to feel restless, and to act on sudden impulses without considering consequences can take hold now. There may be changes in work schedules, or life’s circumstances could challenge us in such a way that we need to change our goals or actions. We are naturally bold and assertive, willing to experiment, and conscious of a need to act independently. Our ideas may be ground-breaking, or at the very least progressive. A strong desire to make things happen is with us now. The best way to harness this exciting but erratic energy is to act rather than react. Mercury semi-square Pluto. “Suspicious minds” characterize this transit, although if we harness the energy, we can develop strategies to get to the bottom of any matter. Mistrust, investigations. Some level of mental stress, trouble, or pressure. Mars semi-square Neptune. Disorganization, lack of drive, lack of forethought, impracticality, and carelessness. Energy and time are too easily wasted. Passive-aggressiveness. It’s hard to know what we want and where we’re headed under this influence. 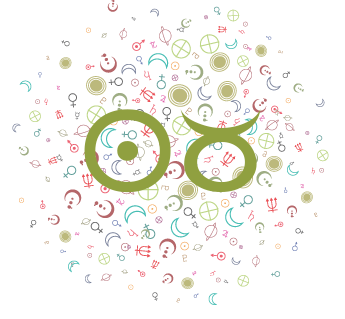 The Moon continues its transit of assertive, confident Aries until 8:29 PM EST, after which the Moon enters steady, sensual Taurus. Mercury moves into the sign of Pisces today, where it will stay for more than the usual three weeks. Because of its upcoming retrograde cycle (it will be retrograde from March 5-28), Mercury will transit Pisces for over two months — until April 17th. 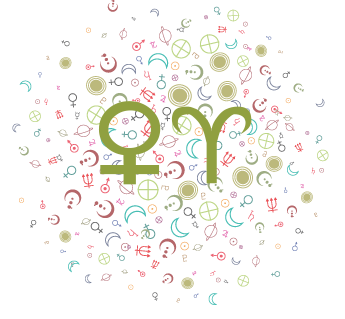 When Mercury is in Pisces, our thinking processes are more visual, intuitive, and imaginative. We are especially attuned to the world of emotion, and this perspective colors our thoughts and our style of communication. We guess well, express ourselves with imagery, and make decisions intuitively. Shortly into its transit of the sign, Mercury forms a semi-square to Saturn, which can challenge conversations and choices today. This energy is best used for focusing on fixing errors rather than harping on them! 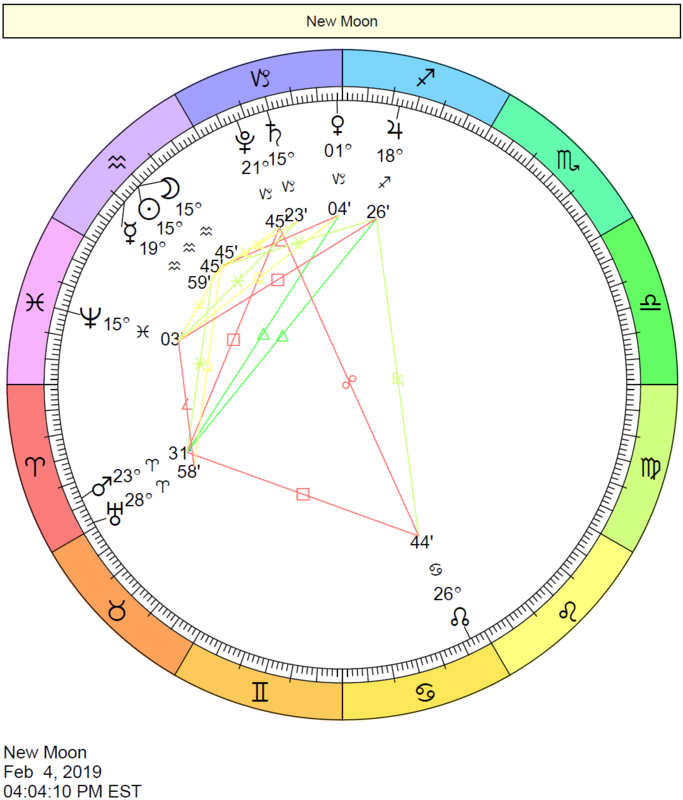 The Moon is void from 6:48 PM EST, with the Moon’s last aspect before changing signs (a conjunction to Uranus), until the Moon enters Taurus at 8:29 PM EST. 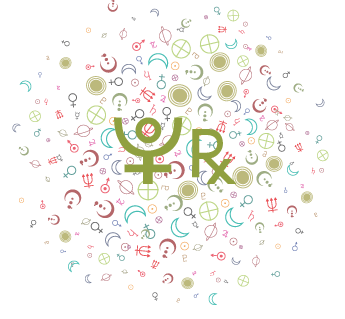 The Moon spends the day in the easygoing sign of Taurus, harmonizing with Venus in Capricorn. We’re likely to find it easy to express and satisfy our increased needs for predictability, comfort, and leisure today. The Moon in Taurus is content, sensual, earthy, and sensible. 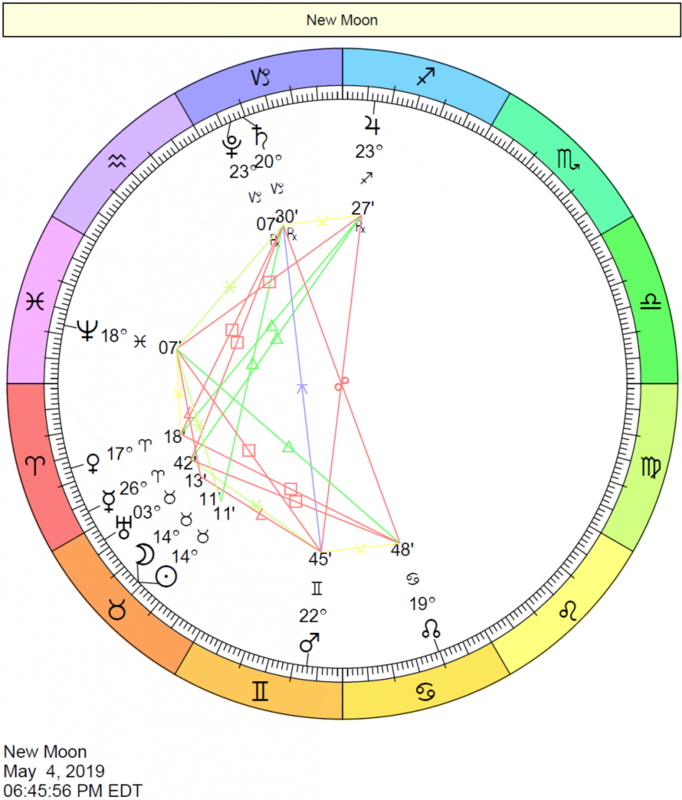 While we’re seeking more harmony and peace than usual now, an approaching Mars-Uranus conjunction is in orb, and the need to make changes to routine areas of our lives is building. 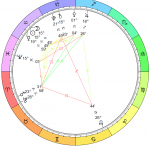 The First Quarter Moon occurs today as the Taurus Moon forms a square to the Sun in Aquarius. There is a crisis theme surrounding any quarter Moon phase, as we feel compelled to take action. Shortly after, we are made aware of how our actions affect those close to us, perhaps through trial and error. Whatever project or initiative we began around the New Moon is now off the ground, and it may face its first obstacles. Mars approaches alignment with Uranus in Aries, exact very early tomorrow. 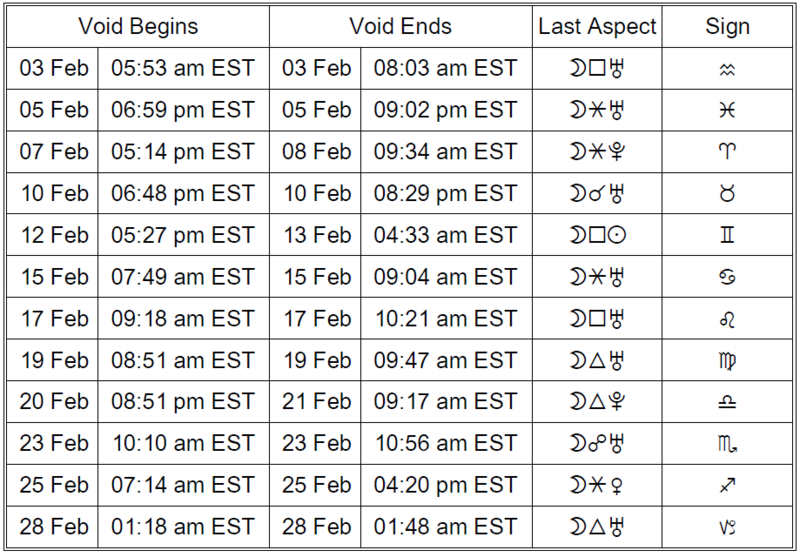 This is the final such alignment while Uranus is in Aries (Uranus will move on to the sign of Taurus on March 6th). When Mars meets Uranus approximately every two years, we can be filled with a sudden desire to make things happen, and in the sign of Aries, this can’t happen soon enough! It’s a powerful time for ridding ourselves of attachments that have been weighing us down, and for letting change in. We are naturally bold and assertive, willing to experiment, and extremely conscious of a need to act independently. The best way to harness this exciting but erratic energy is to act rather than react, although it can be difficult to know whether our impulses come from genuine desire or if we are rebelling against restrictions. We should watch for rash decisions and impatience now. If we feel confined, this is a time when things come to a head. The fact that this happens while Mars and Uranus are in the final degree of the sign of Aries adds even more urgency to the combination. 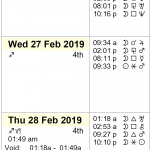 The Moon is void from 5:27 PM EST, with the Moon’s last aspect before changing signs (a square to the Sun), until the Moon enters Gemini the next day, Wednesday, February 13th, at 4:33 AM EST. The Moon continues its transit of Taurus until 4:33 AM EST, after which it moves through the sign of Gemini. 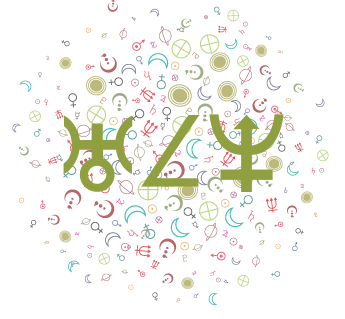 The Gemini Moon, which will last until Friday morning, encourages us to diversify, put our feelers out, and pick up new ideas or tips. We’re more interactive and versatile with this Moon, although we can also be on edge or tense, particularly in the hours surrounding the Gemini Moon’s square to Mercury, when overthinking or saying too much can cause small problems. 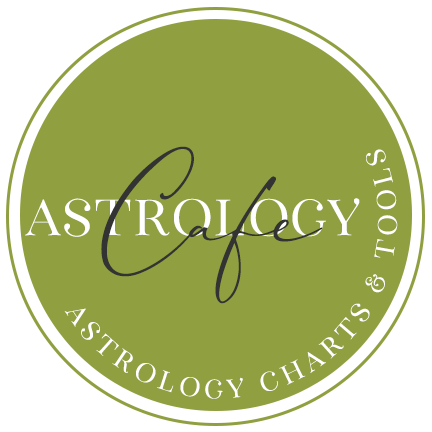 Mercury’s semisquare to Pluto can point to some tendency to worry, but its alignment with Vesta today suggests an increased ability to focus on what’s most important to us. The Moon ends its void period when it enters Gemini at 4:33 AM EST. The Moon spends the day in Gemini, and we’re focused on living in the moment. We’re communicative, connected, and curious with a Gemini Moon. Mars leaves its home sign of Aries and enters Taurus today, where it will transit until March 31st. We might go to great lengths to protect what’s ours and to build our feelings of security and comfort under this influence. With this position, we are determined, stubborn, and resolute. Mars in Taurus can be a relatively passive influence but full-on when resisting or defending something! In stark contrast to the impulsive Mars in Aries cycle, we pursue our goals by plodding along patiently. We’re looking for long-term satisfaction, although we can be particularly focused on creature comforts. 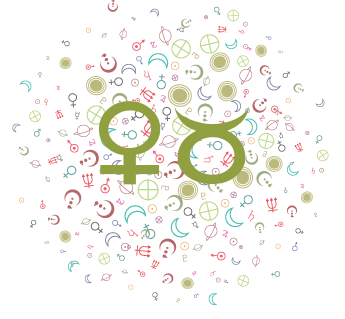 Mars is semi-square Neptune today, which can bring out the more indulgent side of the combination. We may need to get over a little slump, and we can be extremely sensitive to the moods and undercurrents around us. We may have a hard time defining our actions and our goals, perhaps losing sight of reality and reason temporarily. This can be disruptive but useful as it helps us find alternatives. The Moon continues its transit of inquisitive Gemini until 9:04 AM EST when it enters deep-feeling Cancer. This is a wonderful time for memories, connecting with our past in empowering ways, protectiveness, resourcefulness, and intuition, particularly in the hours surrounding the Moon’s sextile to Mars this morning. It’s a good day for taking the initiative. 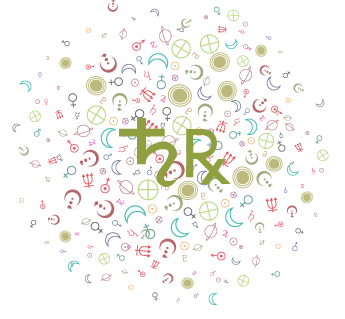 The Cancer Moon is sensitive, cautious, shrewd, and receptive. 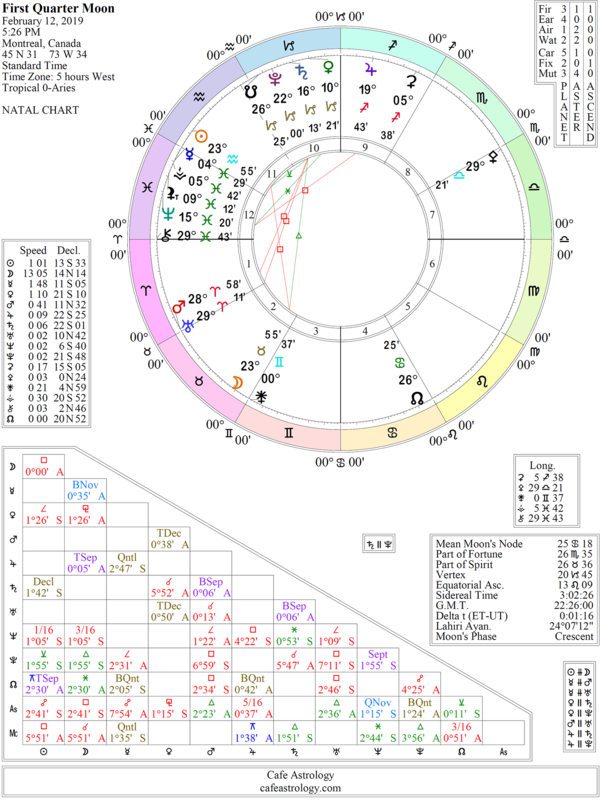 The Moon is void from 7:49 AM EST, with the Moon’s last aspect before changing signs (a sextile to Uranus), until the Moon enters Cancer at 9:04 AM EST. The Moon spends the day in the sign of Cancer, drawing our keen attention to our personal lives, attachments, home, family, and familiar places and faces. The Moon in Cancer is warm and safe. However, it opposes Venus, Saturn, and Pluto, suggesting some tension due to our drives to perform, pleasure in producing, or the demands of our responsibilities. We can be competitive and perhaps impatient. Nevertheless, the Moon also forms a trine to Neptune, and we can find creative ways to express and satisfy our increased needs for safety. Today is good for respecting our intuition and relaxing rather than pushing forward, even if we need to do some battle with our desires to perform or produce. As well, Venus heads towards a sextile to Neptune, exact early tomorrow. We’re more imaginative and attuned to the worlds of beauty and romance, and we tend to approach one another more gently than usual with this transit. A magical time on a romantic and social level is possible now, as we are inclined to see spiritual dimensions of our relationships and to approach others with increased compassion. This influence encourages us to open up and embrace loving feelings. There can be a commitment made to work through tough problems, or a willingness to put our talents to good use. We can be determined to take better care of ourselves, and discoveries made now can fuel or reignite our motivation to pursue a particular path.